Update: it's over! But you can watch it all over again in the YouTube video above. It starts 30 minutes in. You can read our round-up of the announced features here. 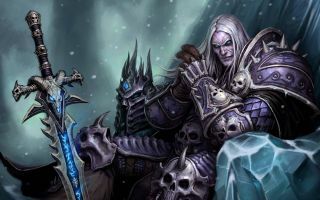 Blizzard will unveil the next World of Warcraft expansion at 5pm BST / 9am PDT, and you can watch it right here. We don't know much about the expansion yet, but no doubt Blizzard hopes it'll be enough to win them back some of those 1.5 million subscribers they've lost in the past few months. It should be a substantial presentation. Blizzard doesn't tend to lead with coy teasers and ambiguous screenshots.